U.S. stock futures forecasted a 38-point decline from yesterday's close. A cyberattack on the data of four million federal employees across nearly every government agency was announced by U.S. officials late Thursday. Additionally, the May jobs report is in focus in today's trading session. On Thursday, the DJIA fell more than 170 points after Greece announced plans to bypass a pending debt payment on Friday. German Chancellor Angela Merkel announced Greece and its international creditors are still far from a possible deal. Meanwhile, falling commodity prices weighed down the energy and mining sectors. OPEC Oil: The Organization of the Petroleum Exporting Countries (OPEC) delegates will meet in Vienna, Austria to discuss oil production targets for member nations. Delegates did not anticipate any change to policy or output levels heading into the event. Oil prices were on the rise. WTI crude futures for July ticked up 0.4% this morning to hit $58.24 per barrel. Meanwhile, Brent oil was up 0.6% to hit $62.40 per barrel. Earnings Reports: Companies reporting earnings this morning include LightInTheBox Holding Co. Ltd. (Nasdaq: LITB), Multi-Color Corp (Nasdaq: LABL), UTStarcom Holdings Corp. (Nasdaq: UTSI), and Yingli Green Energy Holding Co. Ltd. (NYSE: YGE). Pre-Market Movers No. 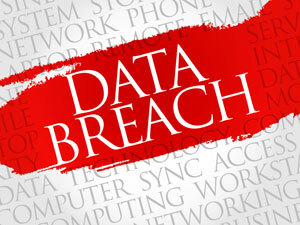 1, PANW: Shares of Palo Alto Networks (NYSE: PANW), FireEye Inc. (Nasdaq: FEYE), and Fortinet Inc. (Nasdaq: FTNT) are all in focus this morning after a massive cybersecurity breach compromised the personal data of roughly four million federal employees. The cyberattack is being called the most aggressive in federal history and will require greater security analysis of current federal processes to protect information. Pre-Market Movers No. 2, BRLI: OPKO Health Inc. (NYSE: OPK) stock was up 3.2% this morning after shares slumped 15% yesterday. That's when news broke the firm will purchase Bio-Reference Laboratories Inc. (Nasdaq: BRLI) in a stock deal worth $1.47 billion. The deal will help boost the firm's diagnostics business. Shares of BRLI jumped more than 20% during yesterday's trading session and another 2% in premarket hours. Pre-Market Movers No. 3, JASO: Shares of J.A Solar Holdings Co. Ltd. (Nasdaq ADR: JASO) were up nearly 14% this morning on news the company has received a proposal to buyout its CEO and chairman, and go private. Stocks to Watch No. 2, DISH: Shares of Dish Network Corp. (Nasdaq: DISH) were climbing again this morning on news the satellite company is in talks to merge with T-Mobile US Inc. (NYSE: TMUS). DISH shares are now at a 52-week high, while T-Mobile was up 2.5% yesterday. Stocks to Watch No. 3, AAPL: Tech giant Apple Inc. (Nasdaq: AAPL) announced its Apple Watch will be available in retail stores on June 26. The company said it would begin to sell its models in a number of retail locations, and that it will soon expand its reach to seven countries. The stock was up marginally in premarket hours. New York Federal Reserve Bank President William Dudley speaks at 12:30 p.m.